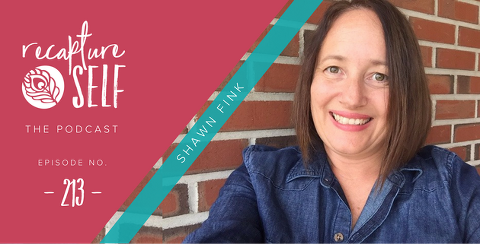 Today I’m chatting with Shawn Fink a writer and family wellness coach for the The Abundant Mama Project, an online community that offers eCourses and other resources for busy moms who want to live a blissfully slow and intentional life. Shawn and I have been friends for a long while as our business journeys have both shifted and evolved – and we both agree in living life with presence, gratitude, and intention. How what you did at age 10 can inform your creative process now at age 20, 30, 40 or beyond! HOMEWORK: SNAP A PHOTO THAT SHOWS HOW YOU’RE LIVING AN AWAKE LIFE THIS WEEK. COME FOLLOW @BERYLAYNYOUNG ON INSTAGRAM. USE THE #RECAPTURESELF WHEN YOU POST. I’LL SHARE OUT SOME OF YOUR POSTS THIS WEEK!